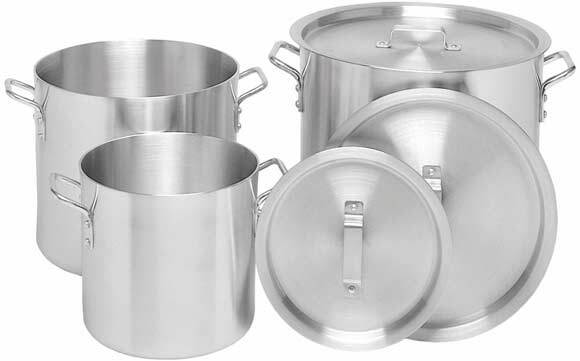 ALUMINUM STOCKPOTS Heavy duty commercial gauge 3004 stock pots and matching covers in various sizes. Stock Pot/32 qt. 14"Dia x 13½"Ht. Notify me of updates to ALUMINUM STOCKPOT 32 QT.